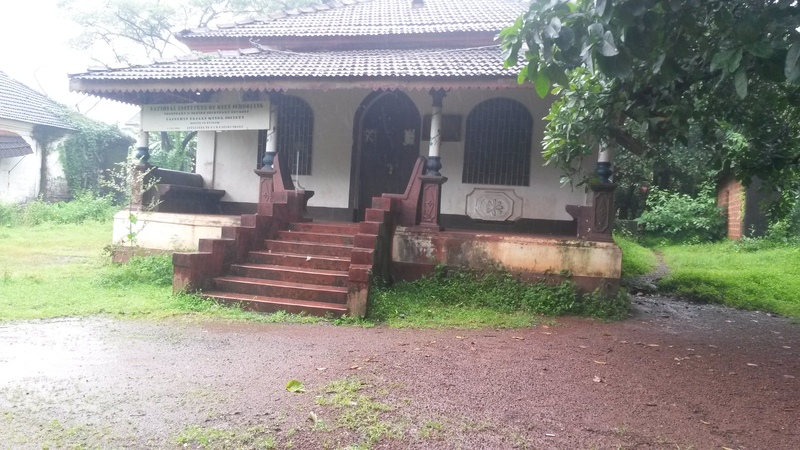 Apart from our well known, St. Anthony’s High School, Monte de Guirim, the Capuchins in Goa also manage an Open school, which is affiliated to Indira Gandhi National Open School, New Delhi. This school has proved to be of immense help to those students who find it difficult to grasp the regular school curriculum. The school is situated on National Highway 17 at a place known as Porvorim. 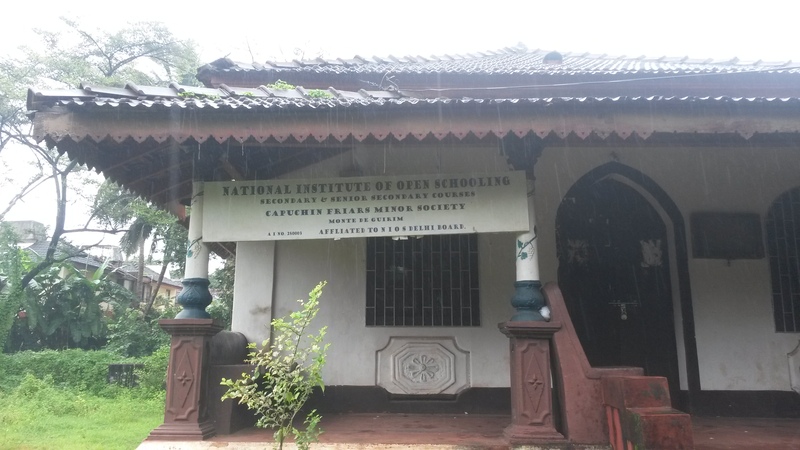 The National Institute of Open Schooling (NIOS), formerly known as National Open School (NOS), was established in November 1989 as an autonomous organization in pursuance of National Policy on Education 1986 by the Ministry of Human Resource Development (MHRD), Government of India. NIOS offers a number of Vocational, Life Enrichment and community oriented courses besides General and Academic Courses at the Secondary and Higher Secondary Stages of Education. The name of our school is ‘Capuchin Friars Minor’ established in year 1990 by the imitative of Rev. Fr. Joel Pinto OFM Cap. For the convenience of the students it is located at Provorim, opposite Clergy Home. Every year around 350 students take admission, and classes are held on the weekends, so as to be available for all who are working too. Since the academic year 2004-05, Fr. Romeo Fernandes, OFM Cap serves as the Coordinator of this school. Provides Open Basic Education through the Accredited Agencies for the learners of this region as per the enforced Rules and Regulations for the same. Provides Secondary and Senior Secondary Education for the learners of this Region through its Accredited Institutions. Introduces Skill Development and Career Education programmes through its Accredited Vocational Institutions. Development of Need Based Curriculum, Instructional Materials, Tutor Marked Assignments as per the specific orders from the Head Quarters. Organizes periodical orientation and training programmes to the Coordinators of Accredited Agencies, Accredited Institutions and Accredited Vocational Institutions of this Region. Identification and selection of Academic Facilitators for the monitoring of various programmes. Propagation of NIOS programmes to the general public with a view to disseminate information as well as to open new study centers for the welfare of the needy citizens. Facilitate On-line admission and issue of ID cards. Monitoring of the distribution of Study Materials to the learners. Developing of Regional Advisory Committee and its periodical meeting for the formulation of Regional level planning and programmes. Developing of Regional Vocational Advisory Committee and its periodical meeting for the formulation of Regional level planning and programmes. Conduct two major Examinations and regular On-Demand Examination for Secondary and Senior Secondary Examination as per the approved programmes. Appointment of OSDs, Flying Squad, Centre Superintendents, Evaluators etc. with the concurrence of the Competent Authority. Evaluation of answer scripts of the Region for the timely declaration of results. Provides information and eGovernance as per the Right to Information Act 2005.